Plans which focus on good quality design and landscaping, include 130 properties offering a mix of houses, cottage flats, amenity flats and flats. 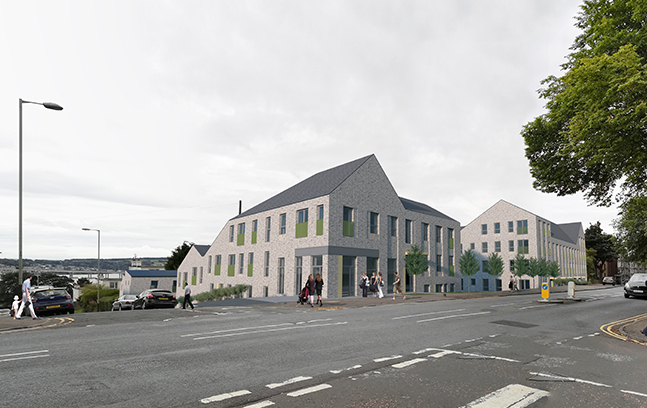 The proposed homes will be available for mid-market rent managed by Northern Housing Company and social rent managed by Hillcrest Housing Association. Hillcrest’s director of development and new business, David Zwirlein said: “This is an exciting milestone in the journey to regenerate Ellengowan estate. 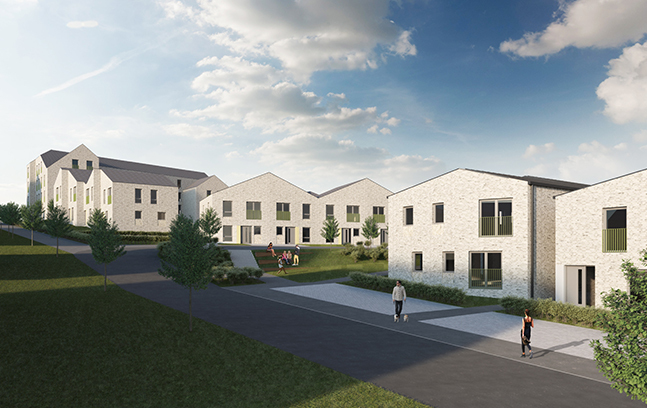 “The central aim of the redevelopment is offer a new home to existing Ellengowan residents who wish to remain living on the estate. Architects Collective Architecture submitted plans, which are the result of a period of extensive planning and community consultation. The proposals also feature a purpose-built property to house the kiosk shop which has been a longstanding asset to the neighbourhood. The shop will trade from temporary premises while the construction work is taking place. If the application is successful, demolition will start on the site at the end of the year with construction work beginning in early 2019.